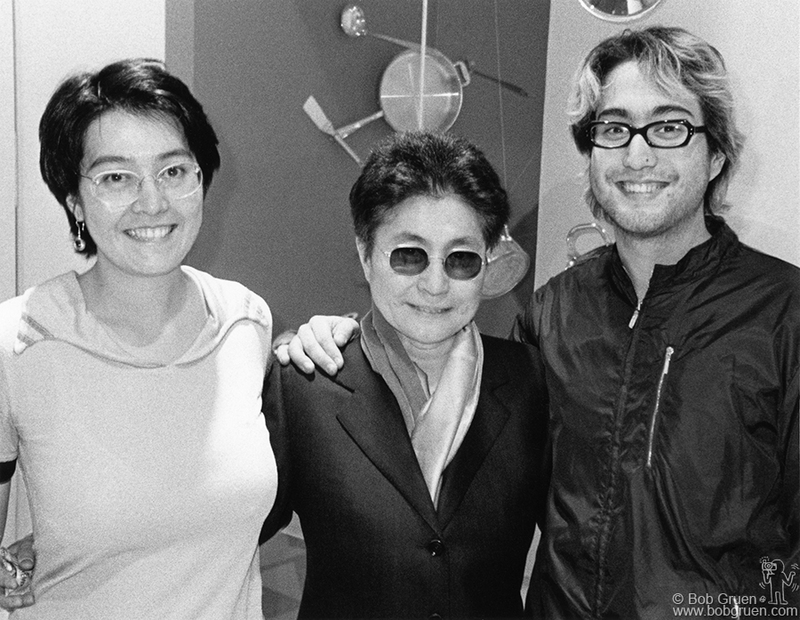 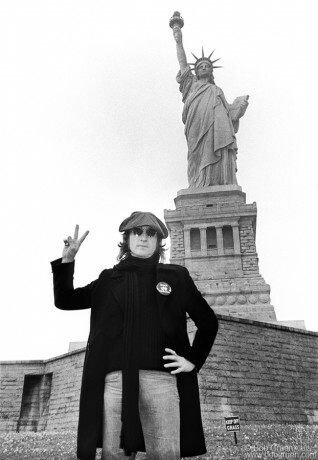 The US government was trying to deport John Lennon because of his support for the peace movement during the Vietnam war so I suggested we take a picture at the Statue of Liberty to illustrate that America was supposed to welcome people. 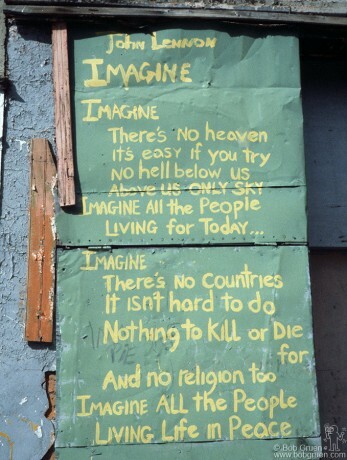 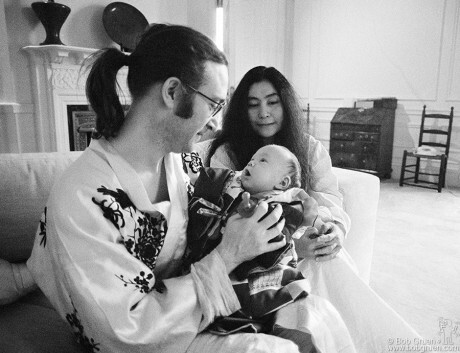 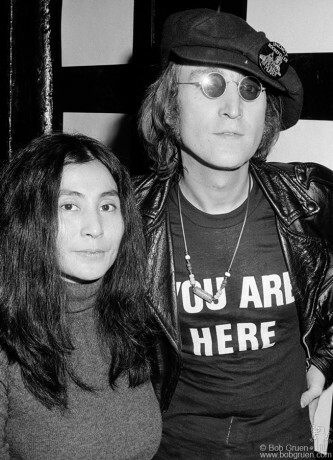 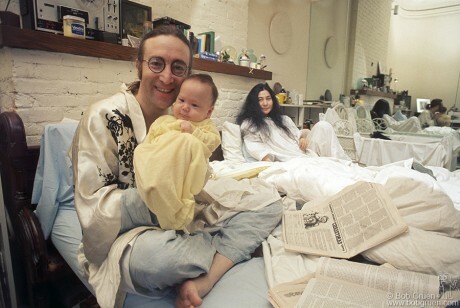 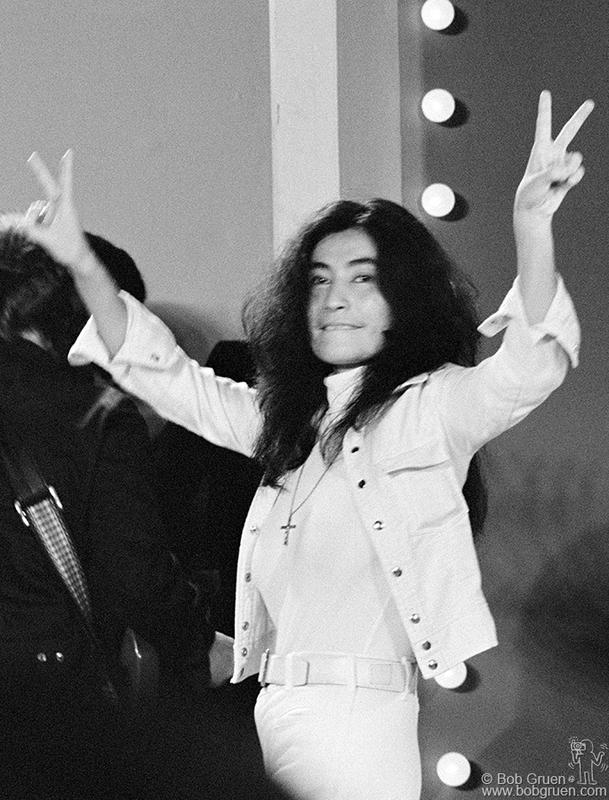 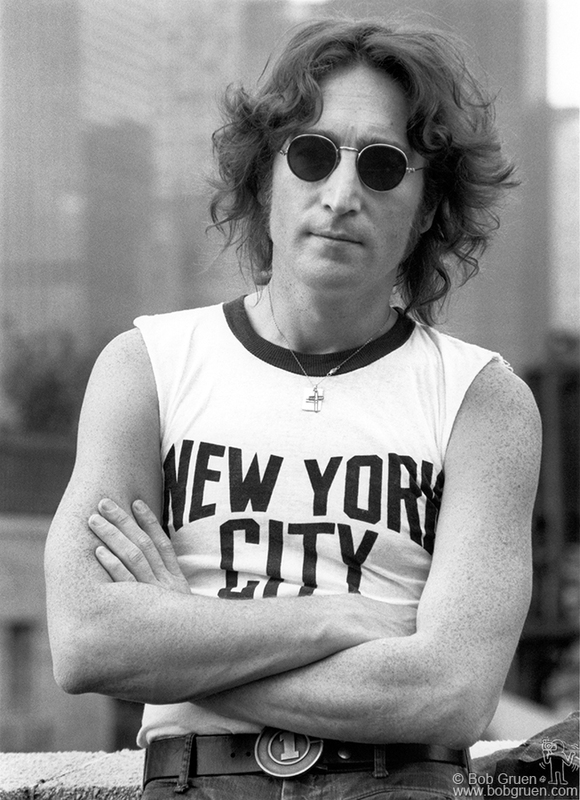 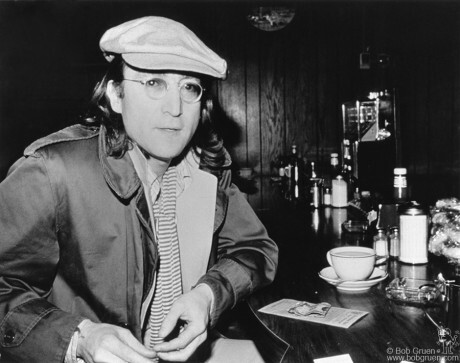 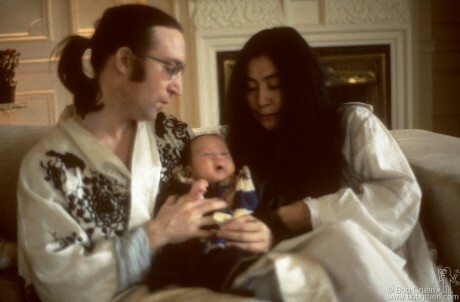 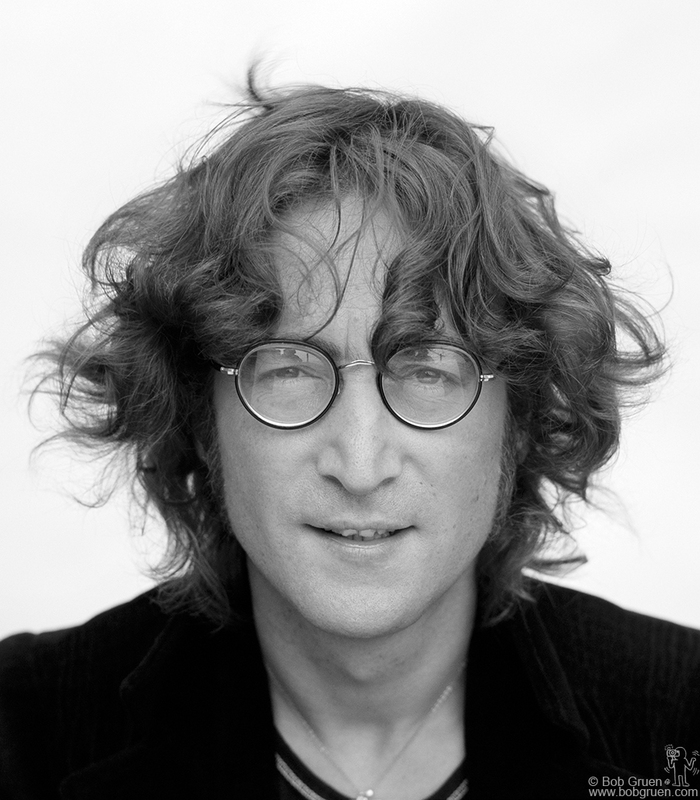 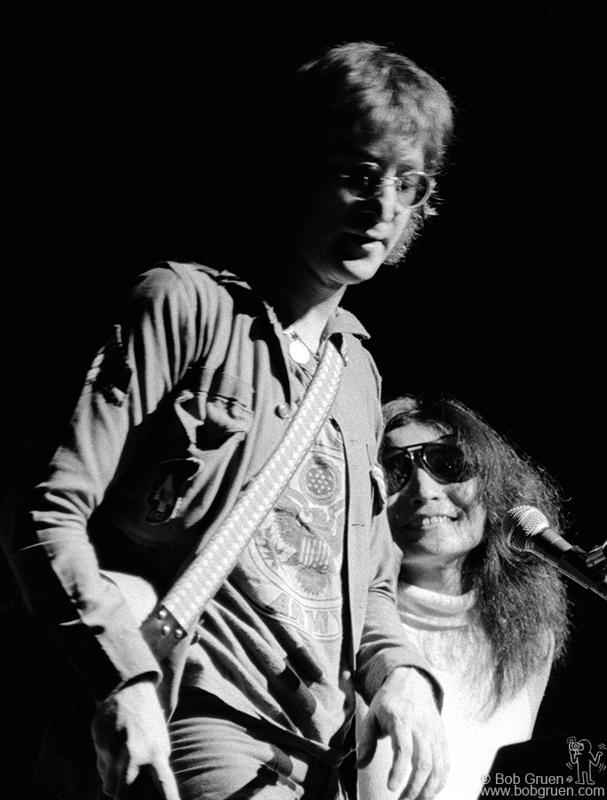 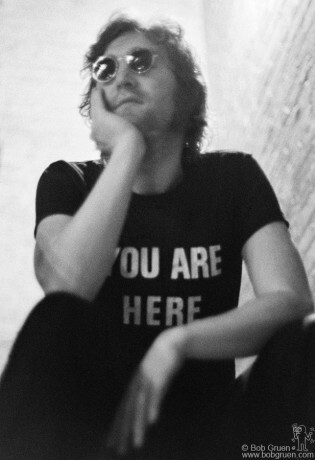 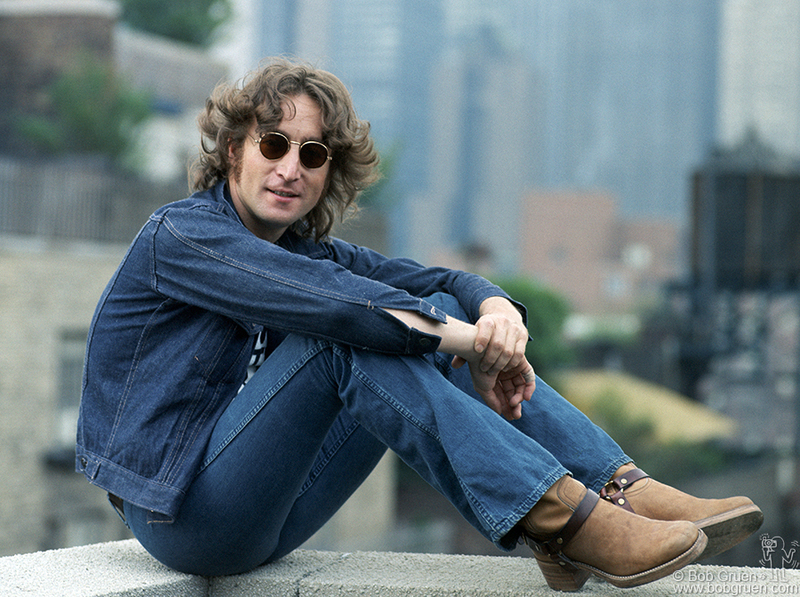 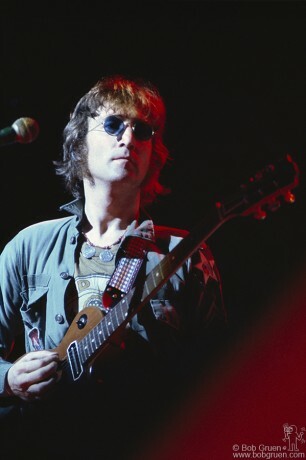 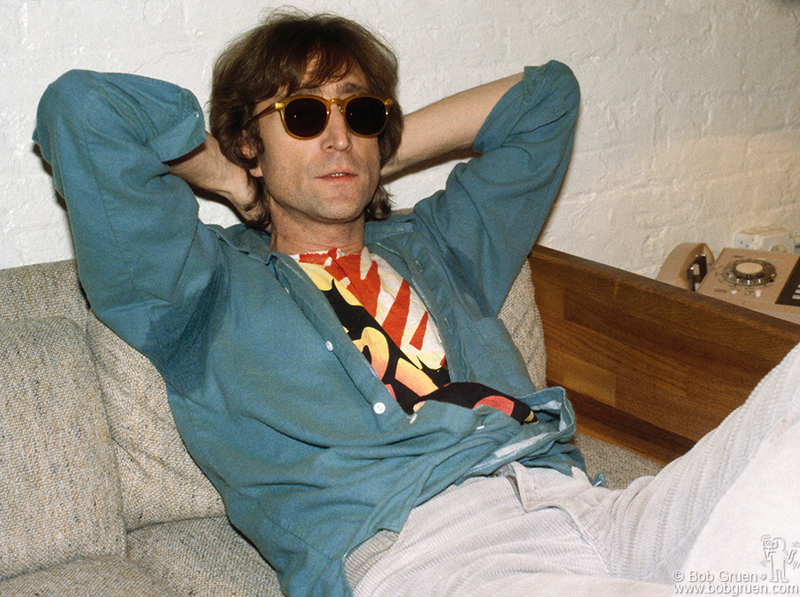 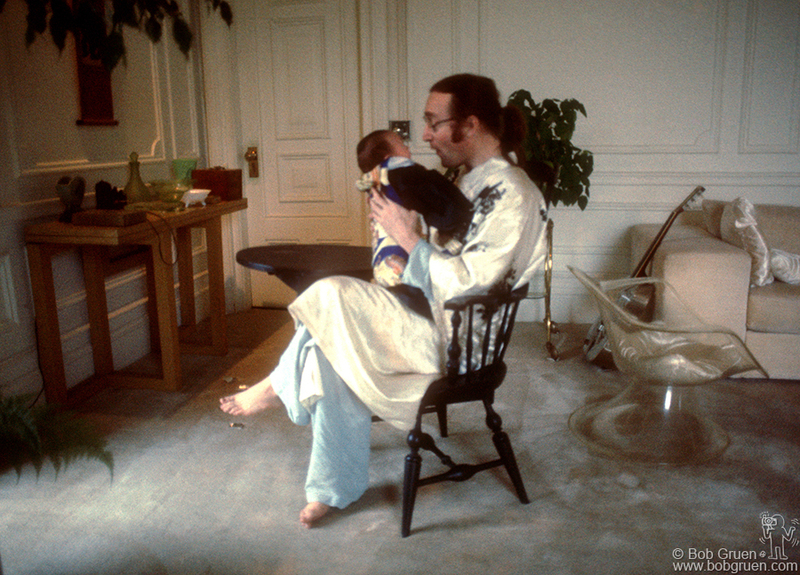 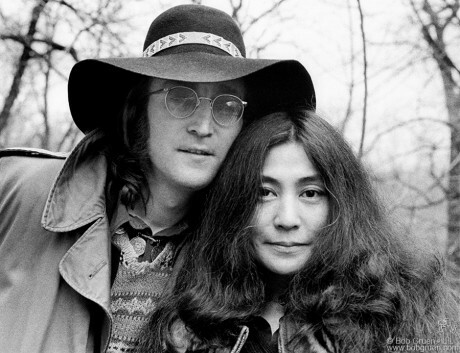 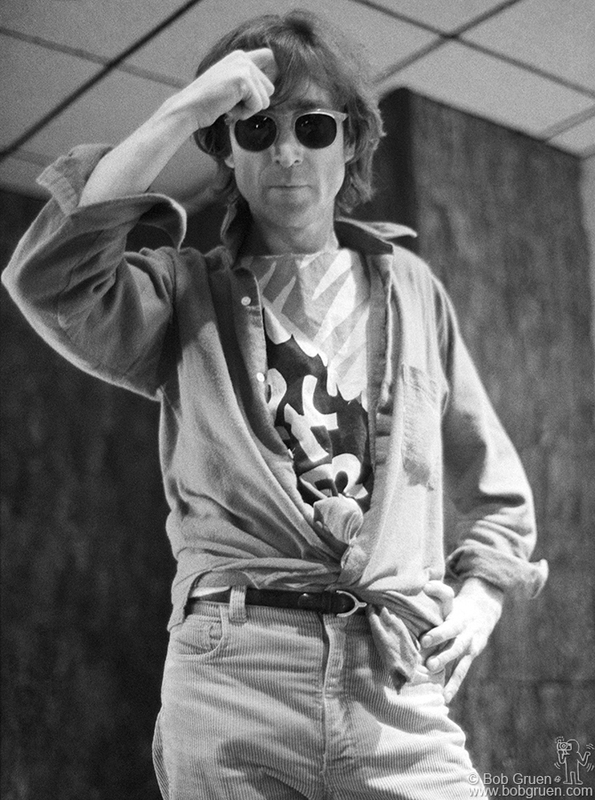 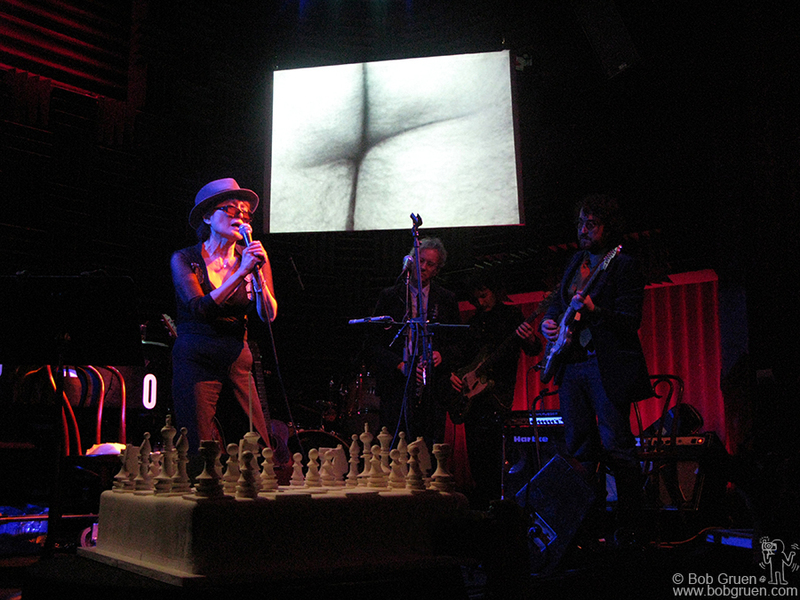 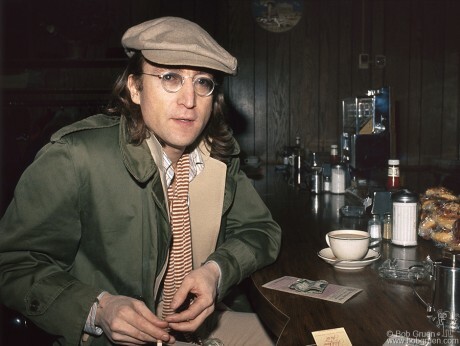 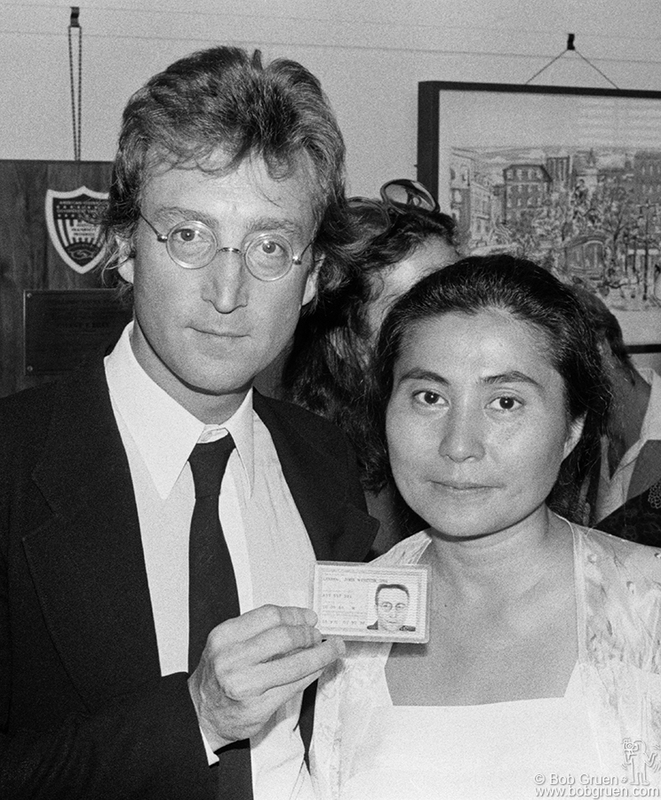 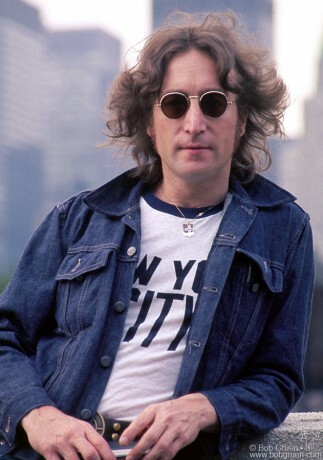 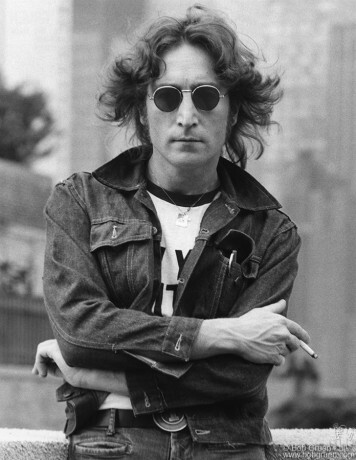 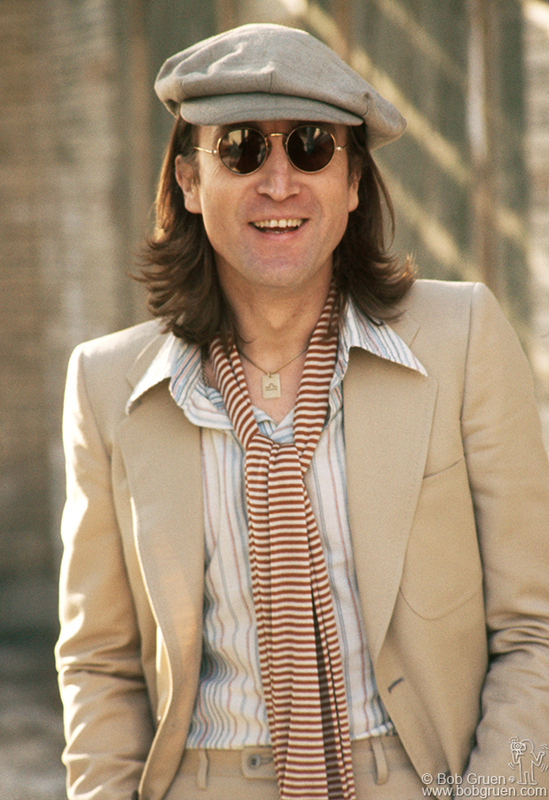 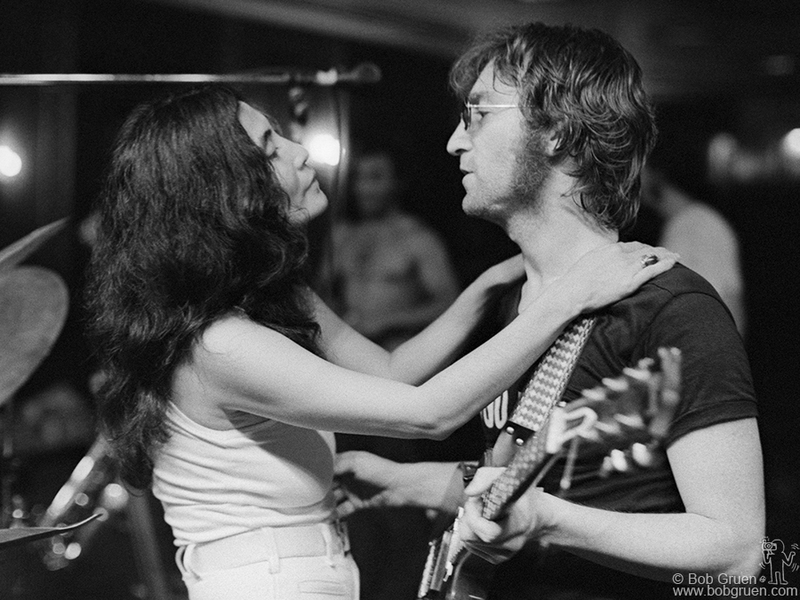 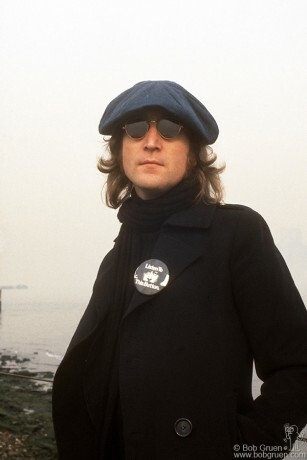 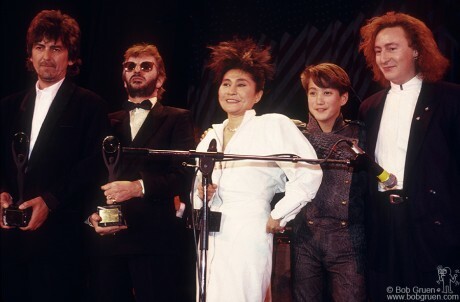 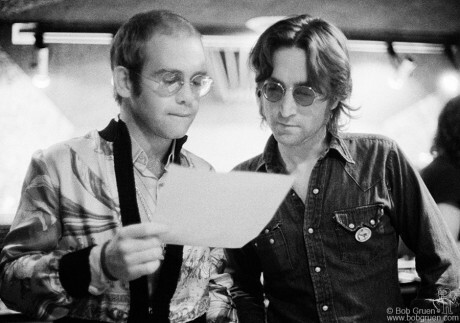 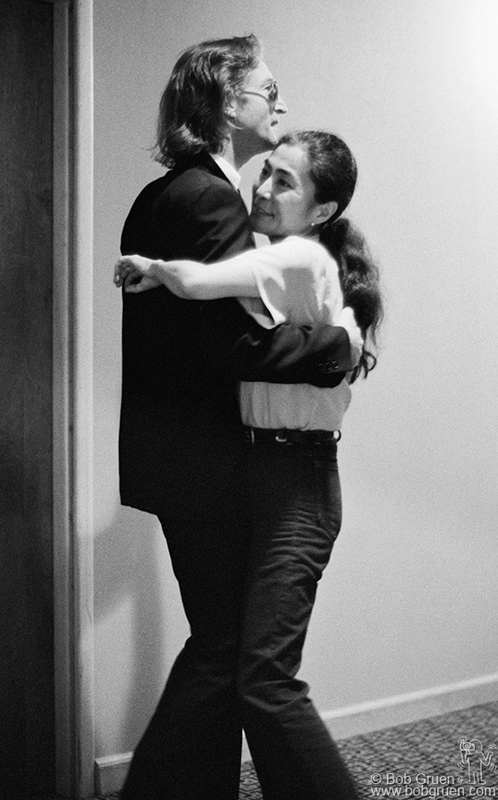 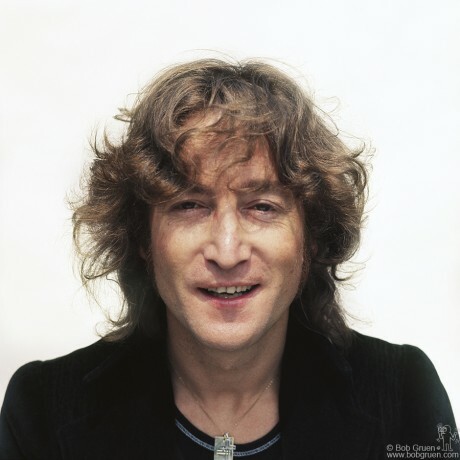 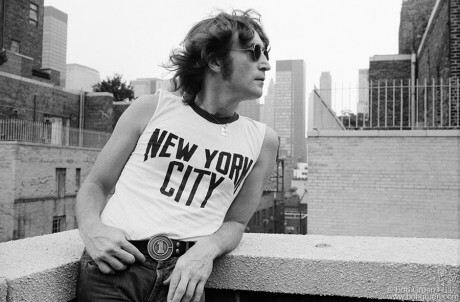 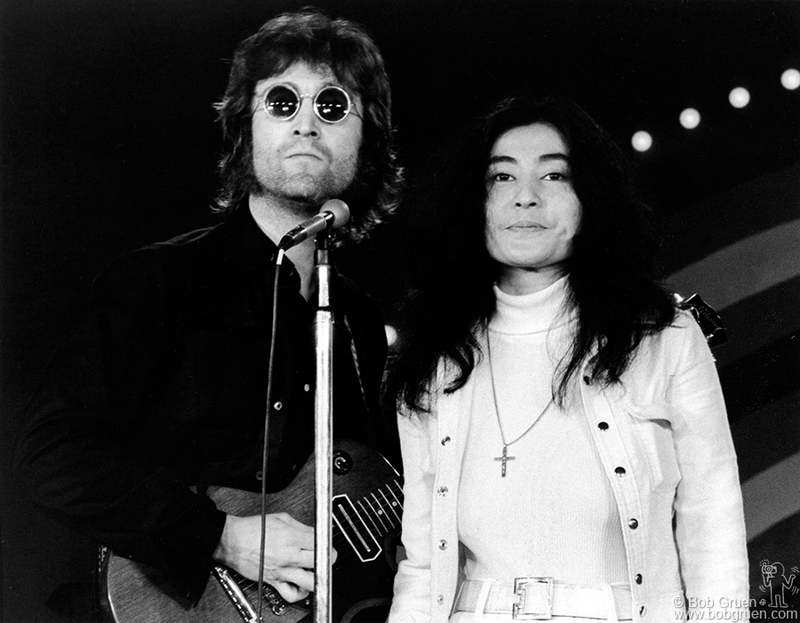 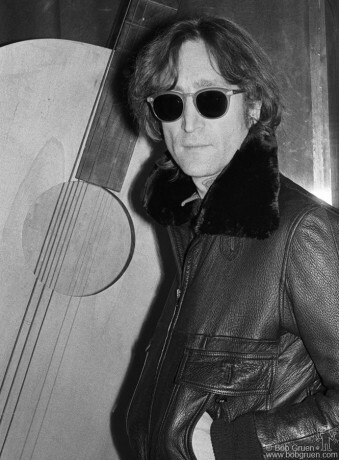 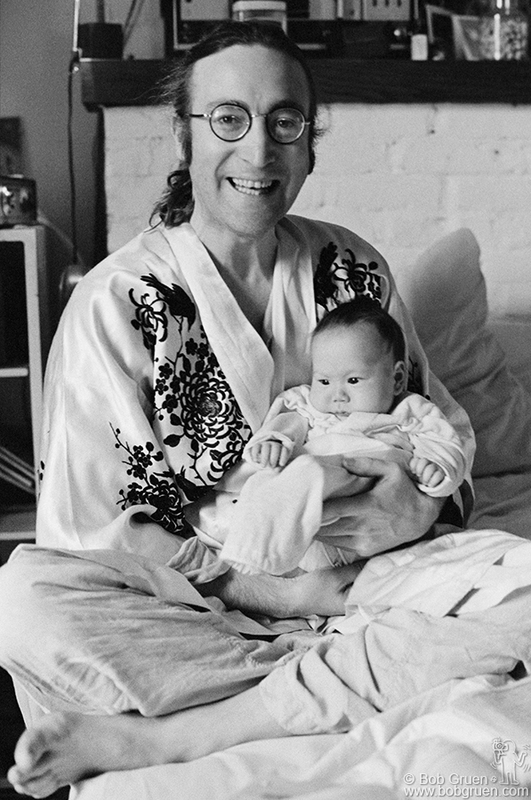 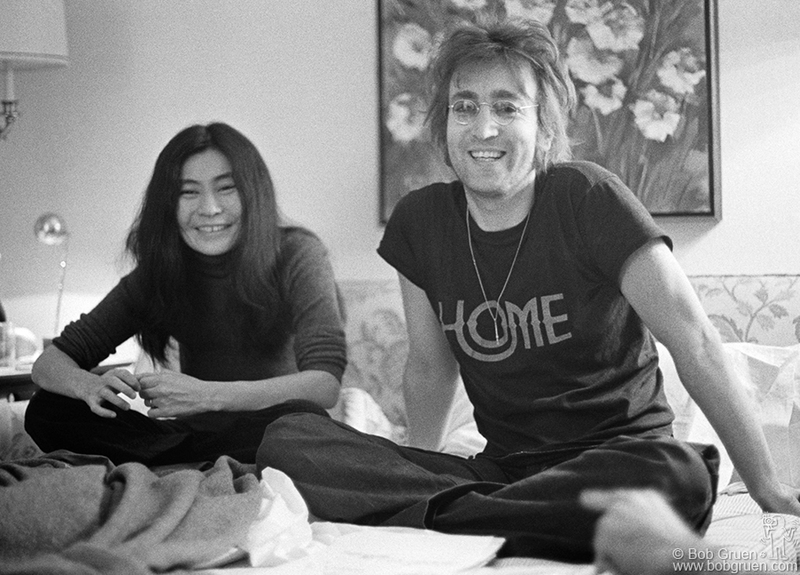 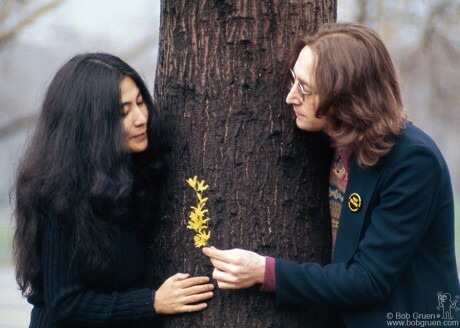 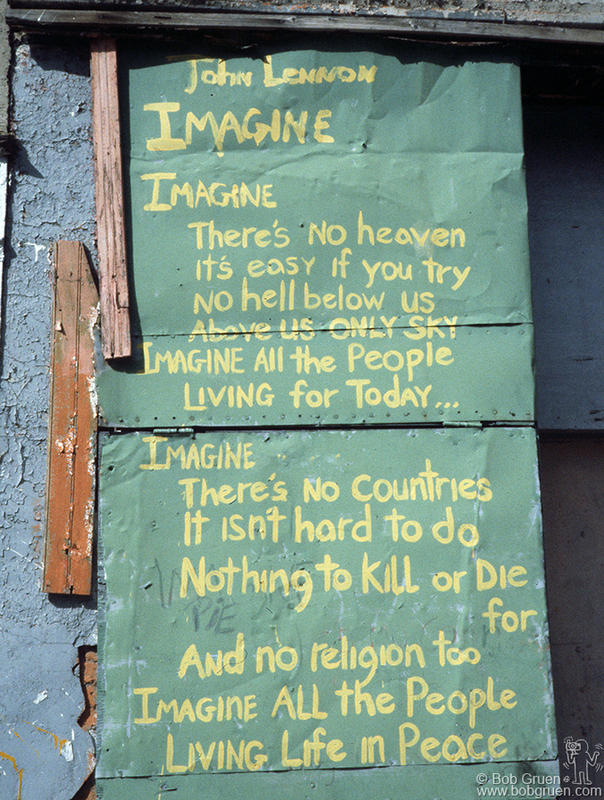 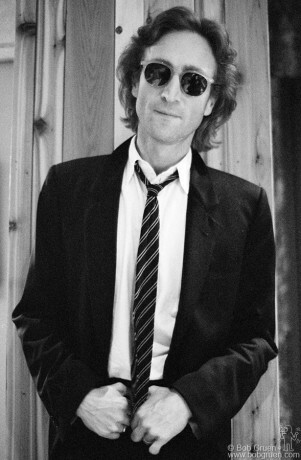 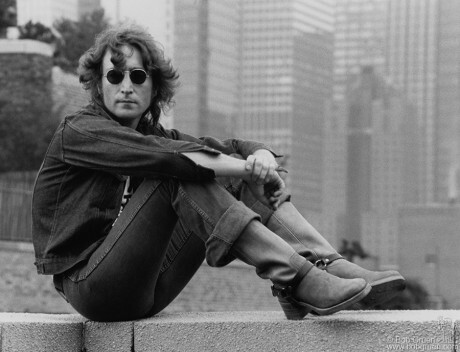 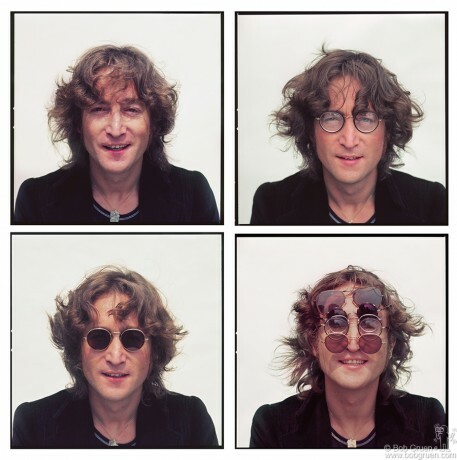 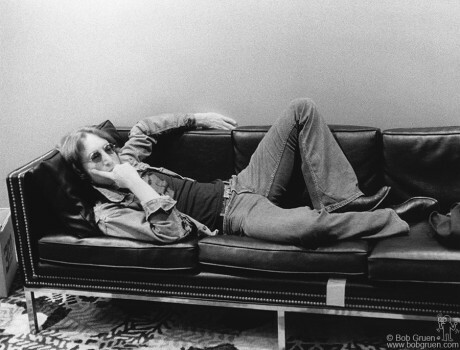 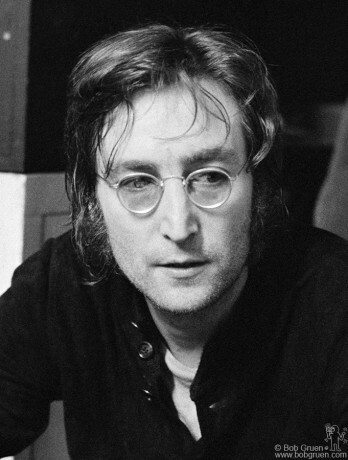 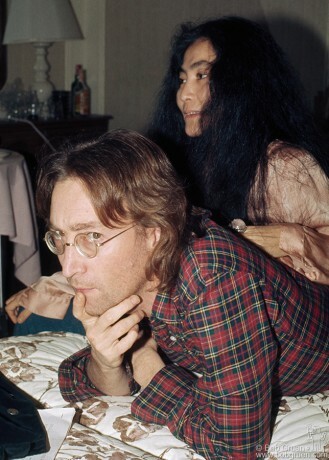 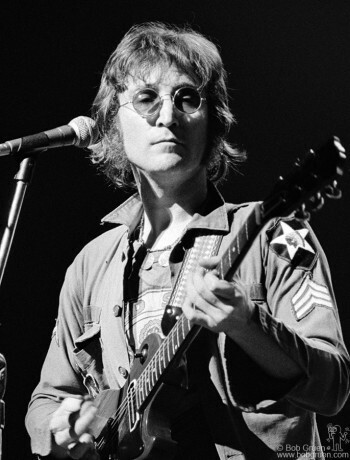 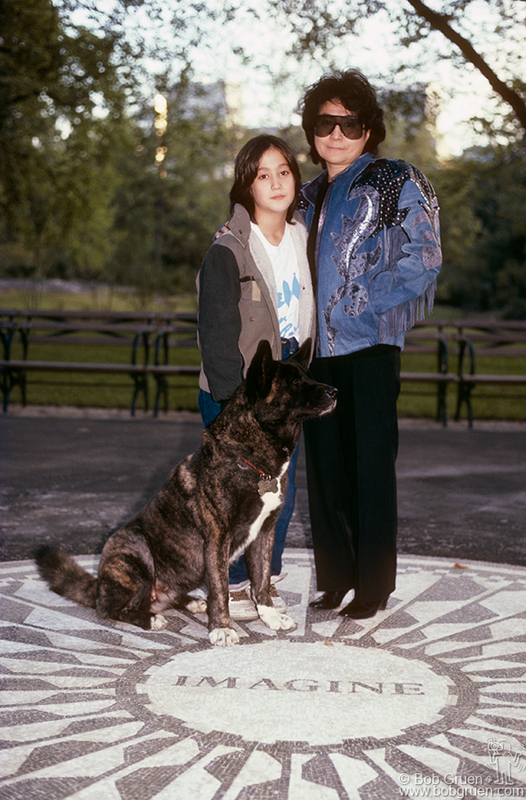 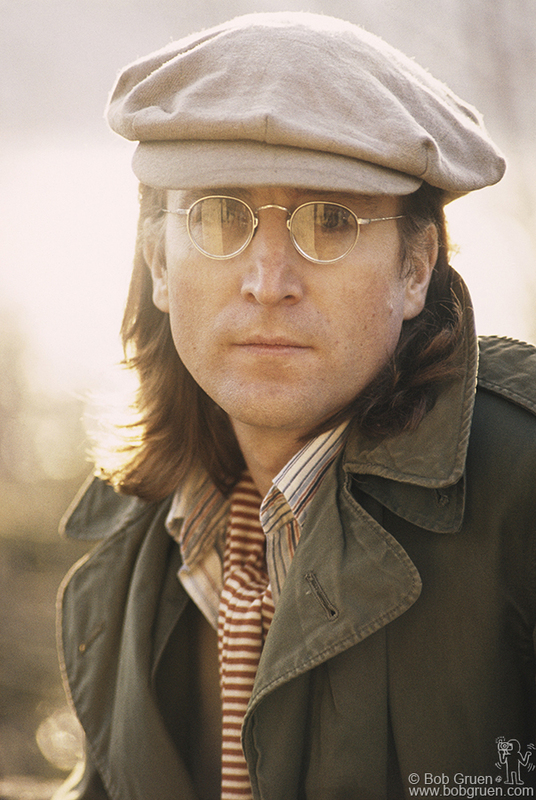 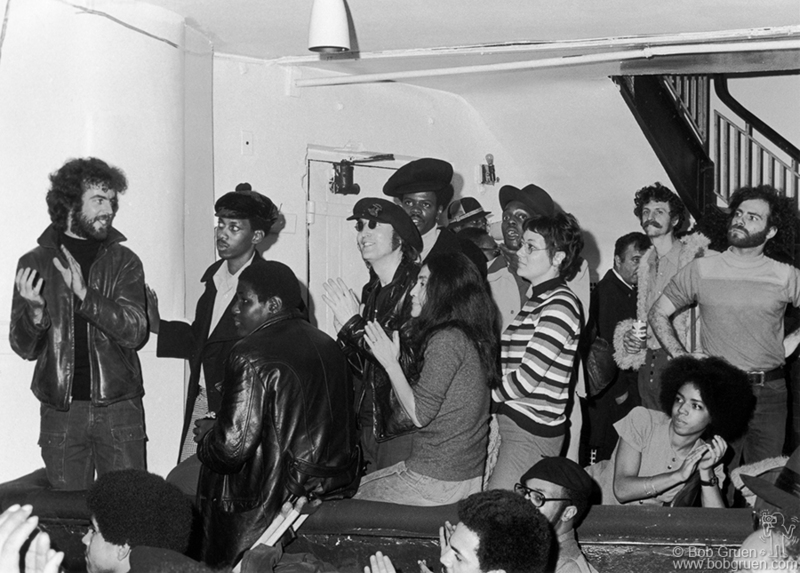 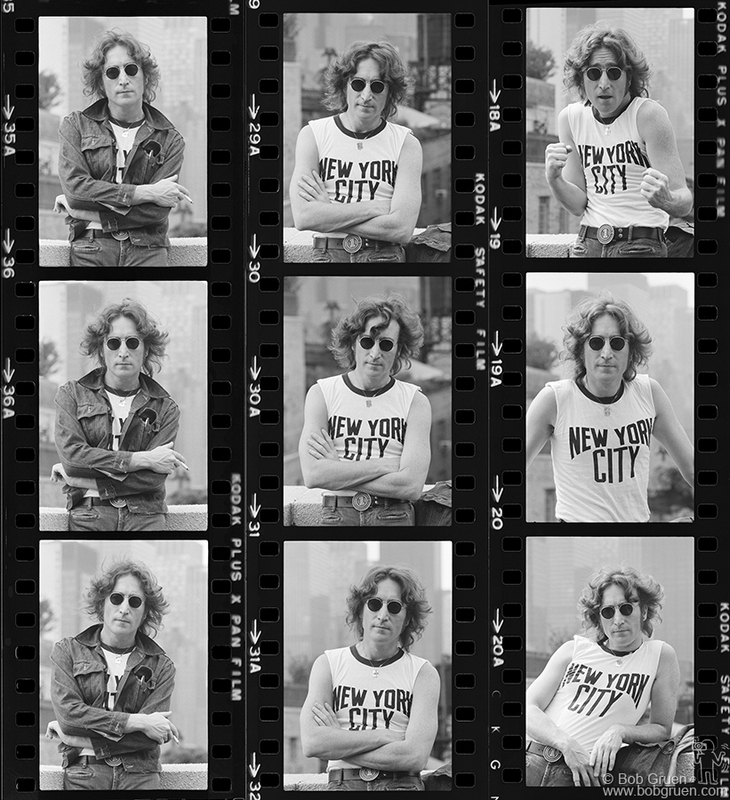 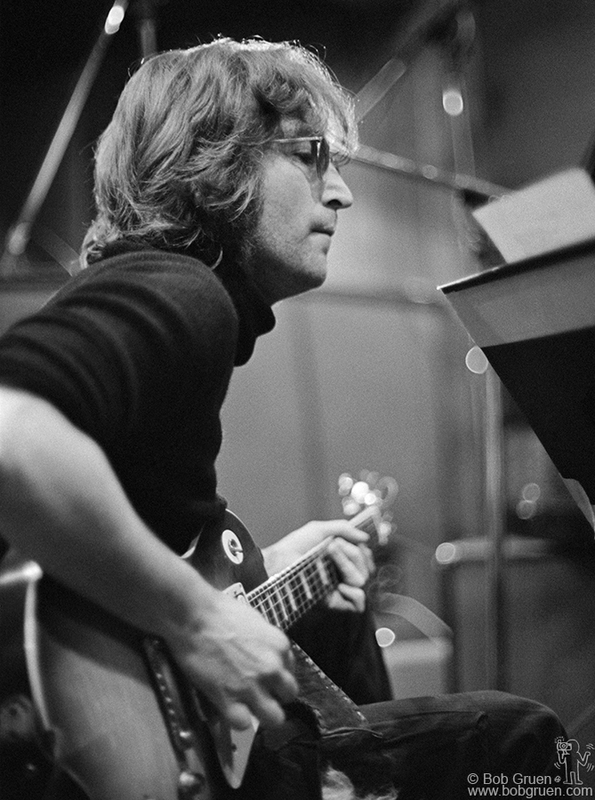 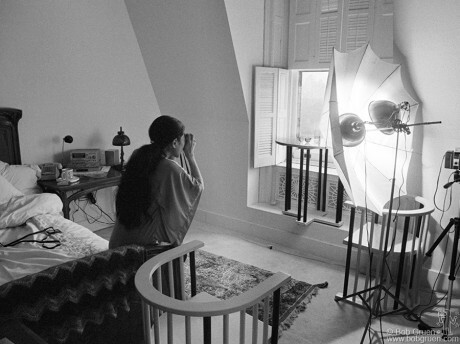 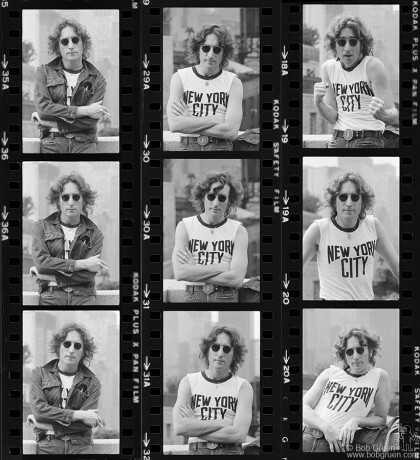 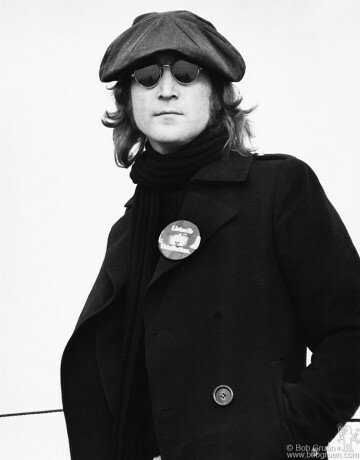 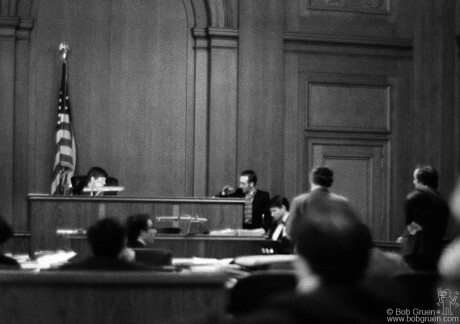 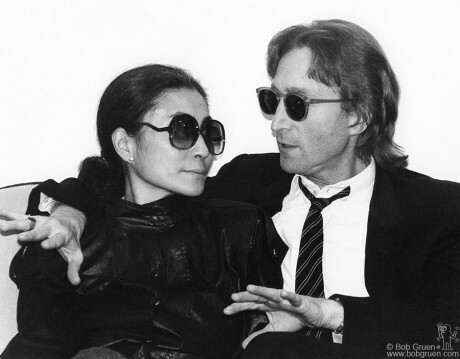 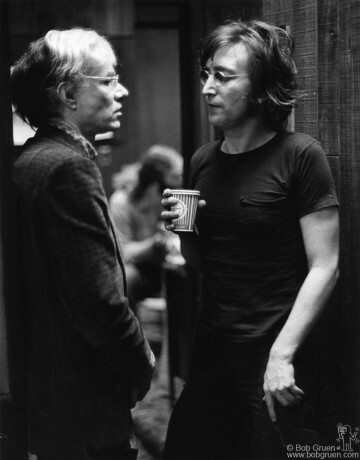 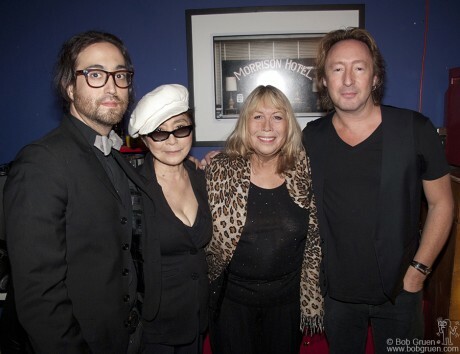 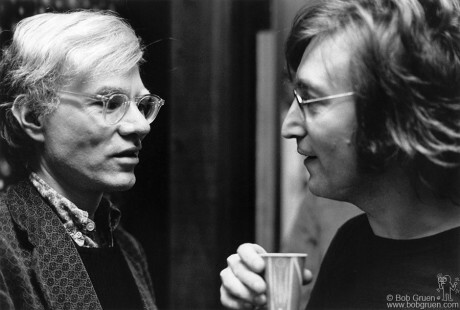 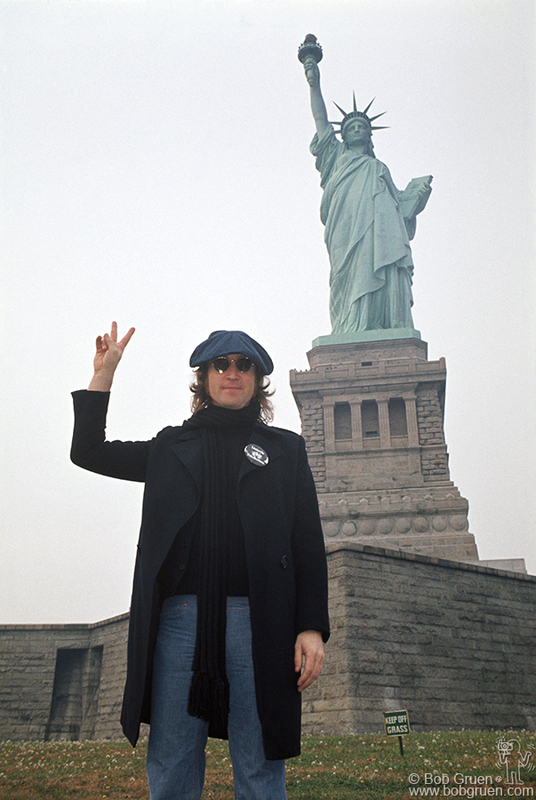 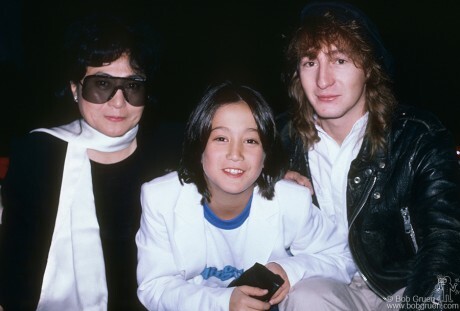 Since Lennon's death, this photo has taken on a new meaning as people think of John Lennon in terms of personal freedom similar to the Statue of Liberty. 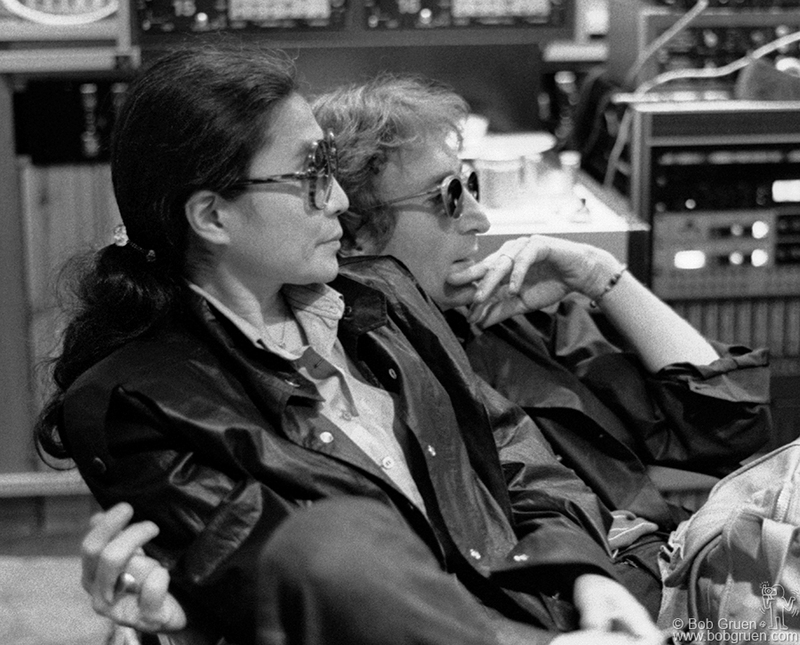 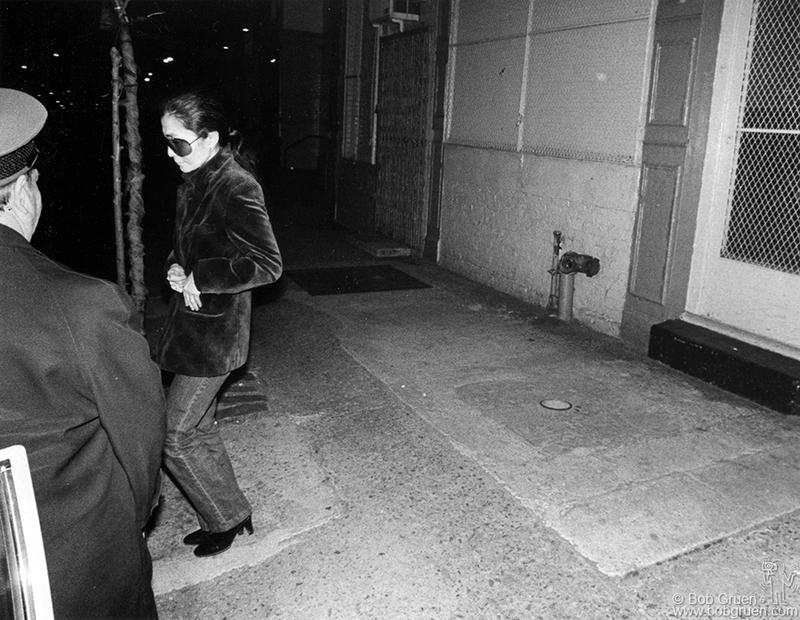 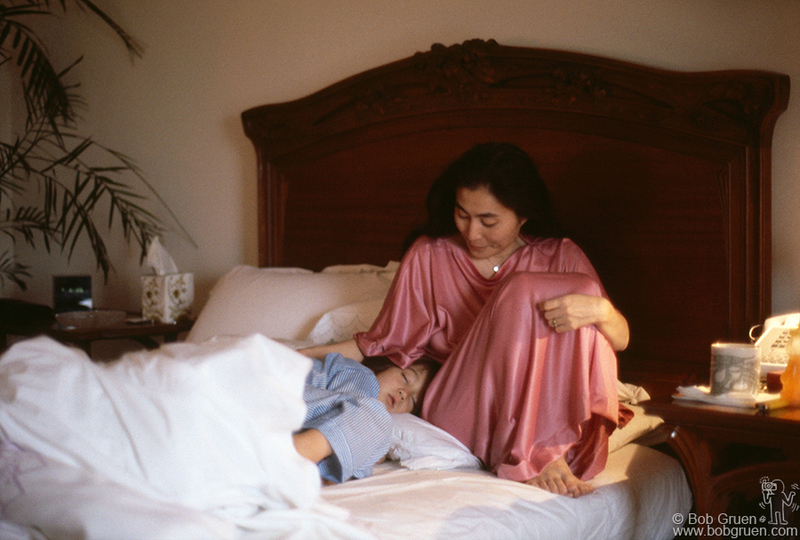 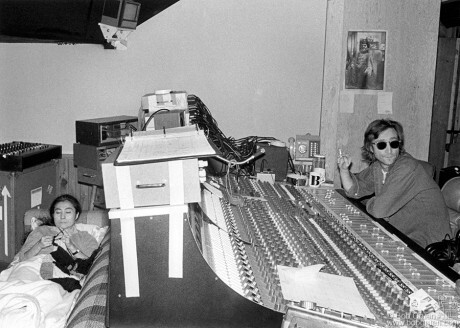 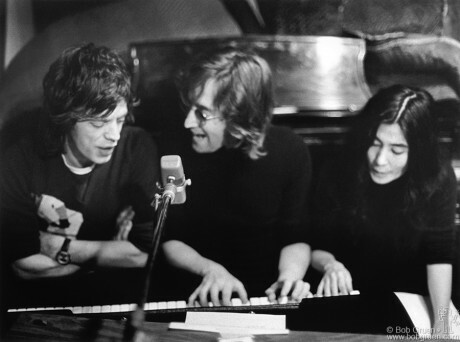 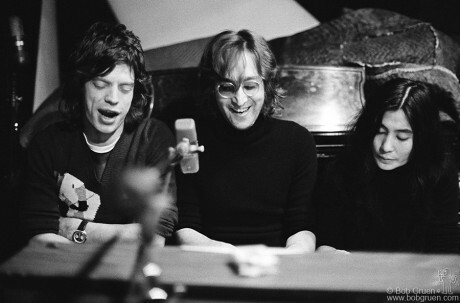 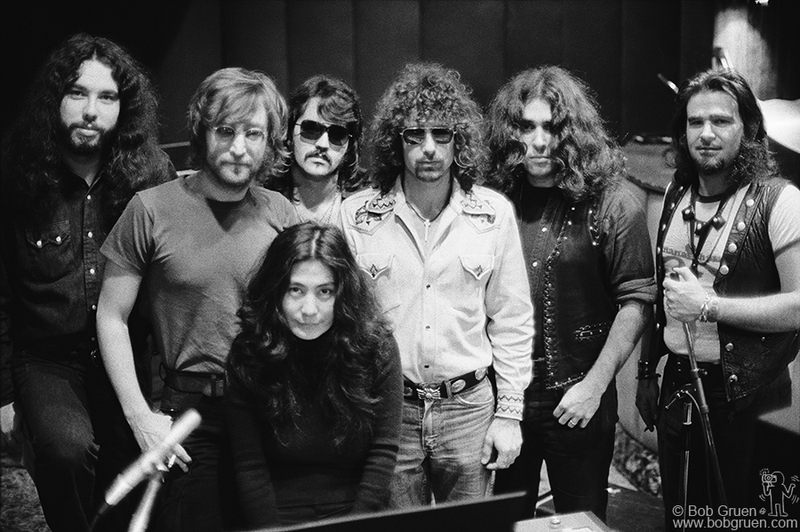 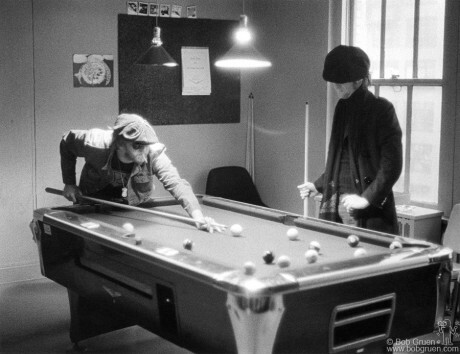 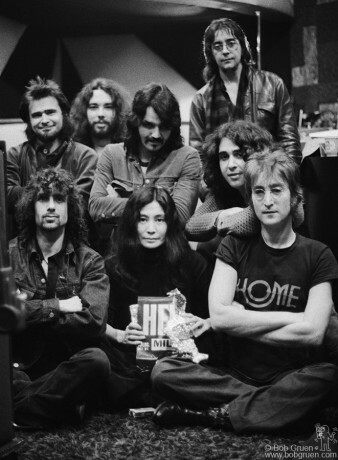 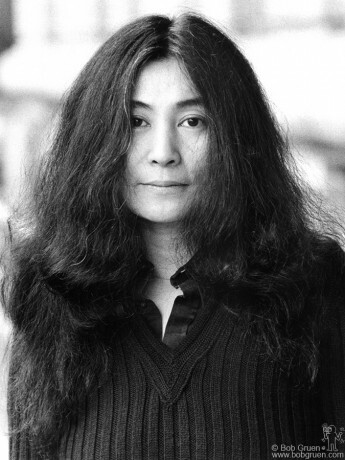 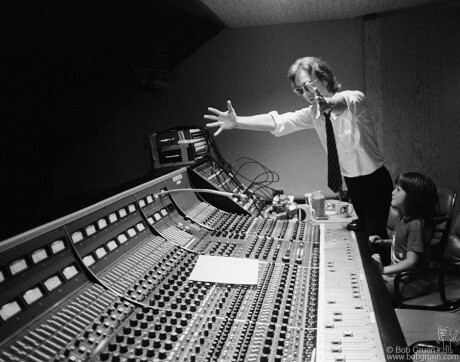 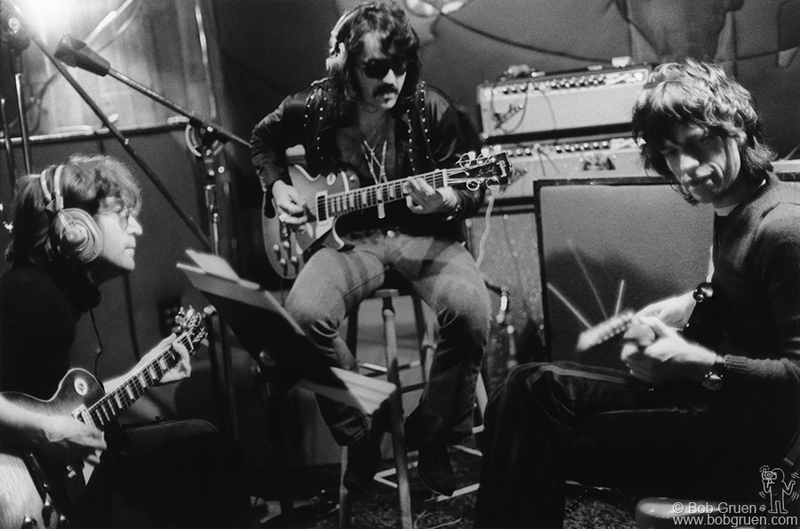 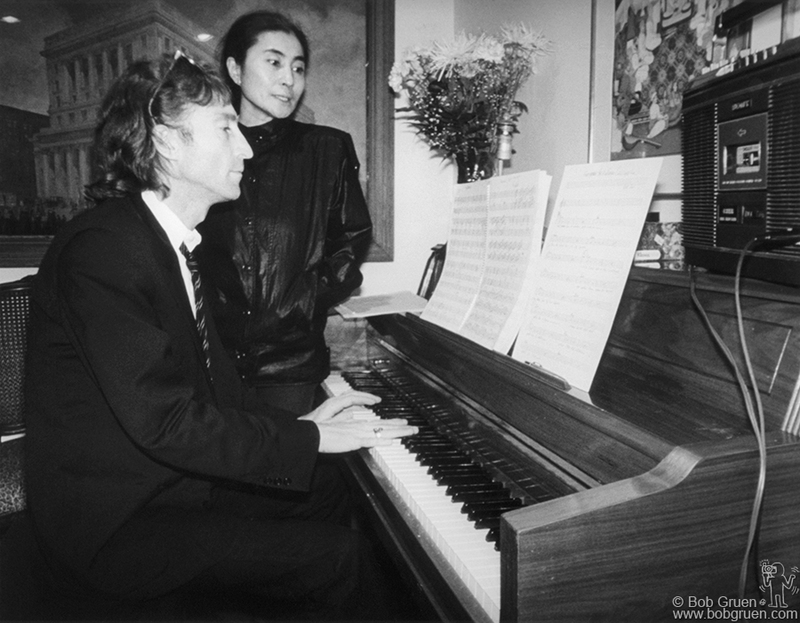 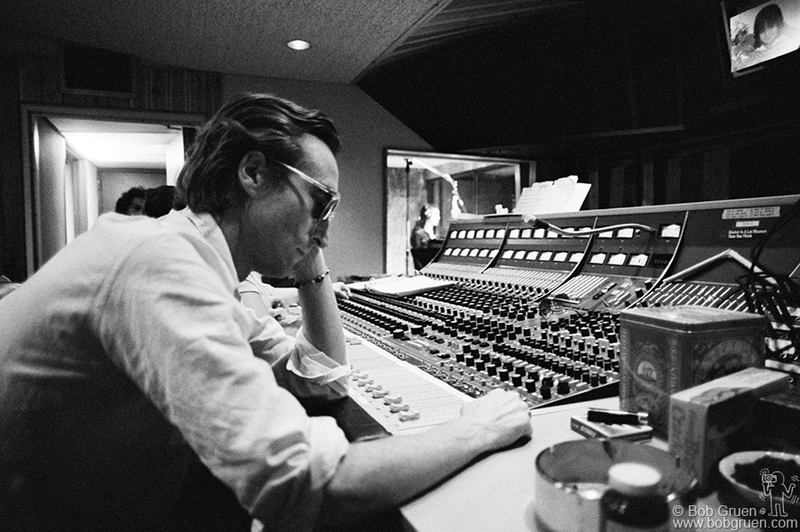 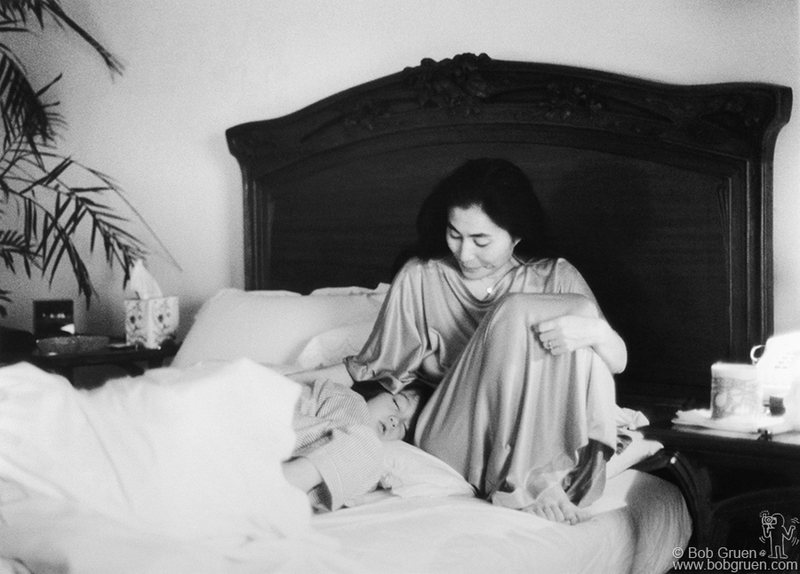 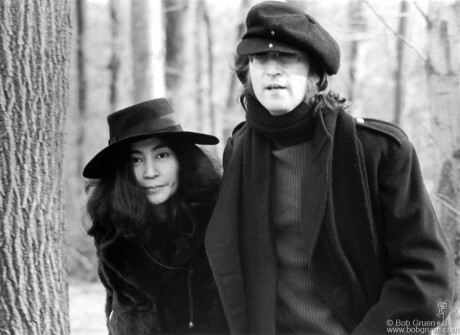 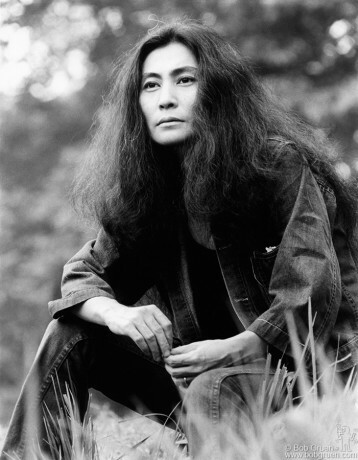 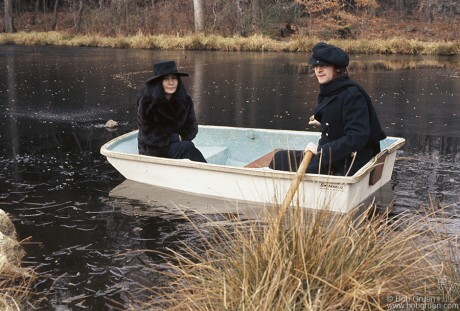 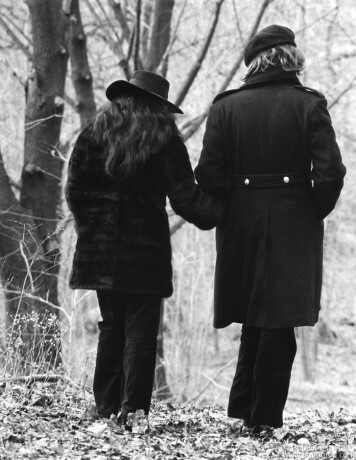 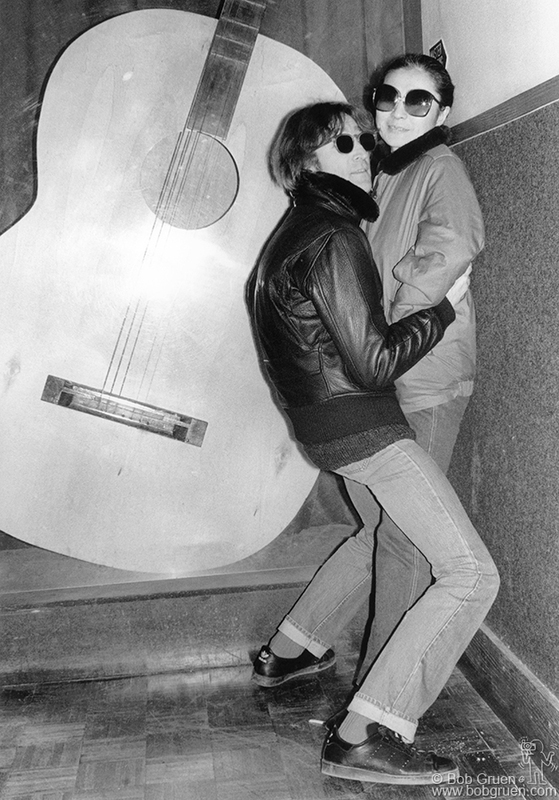 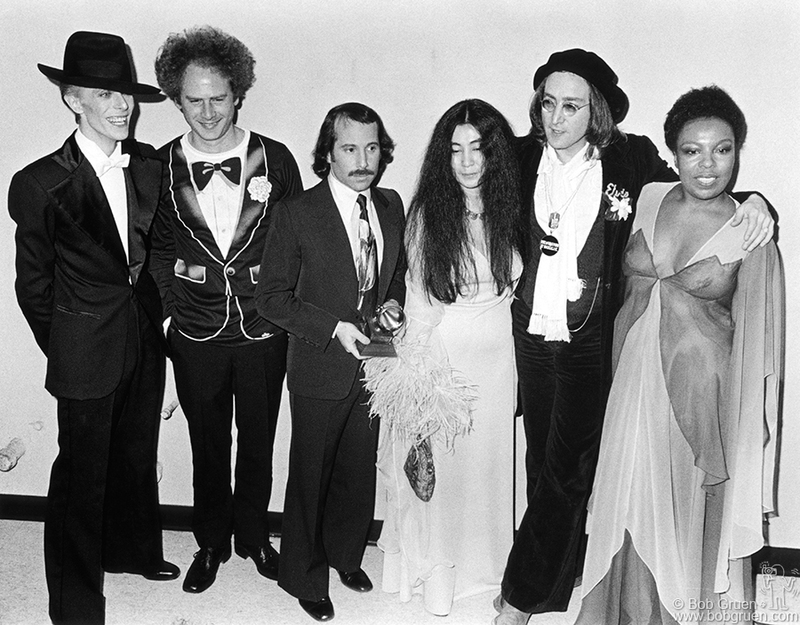 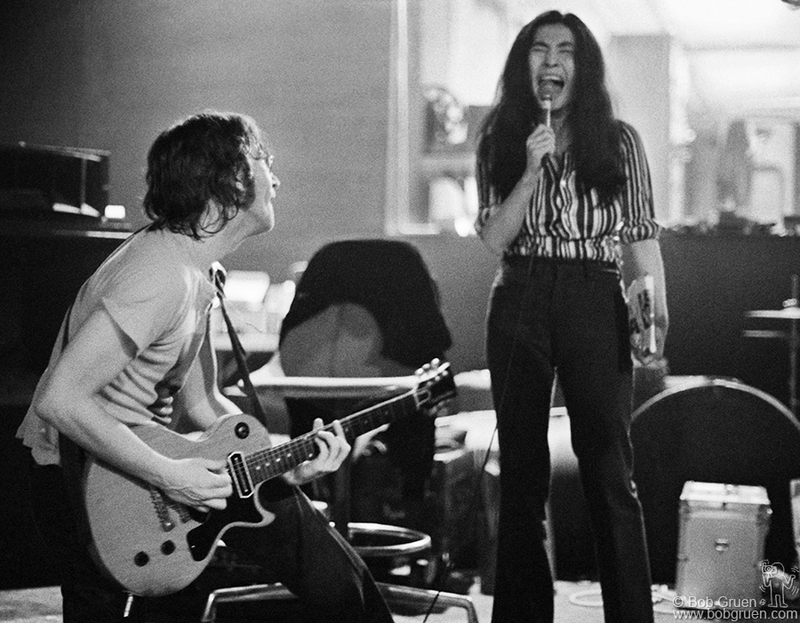 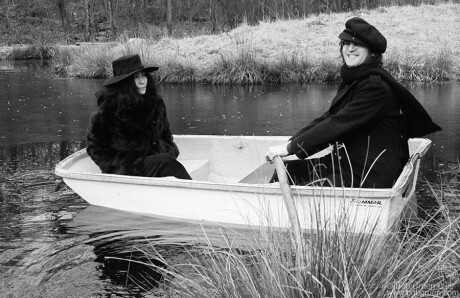 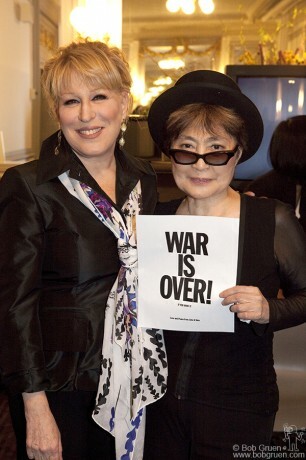 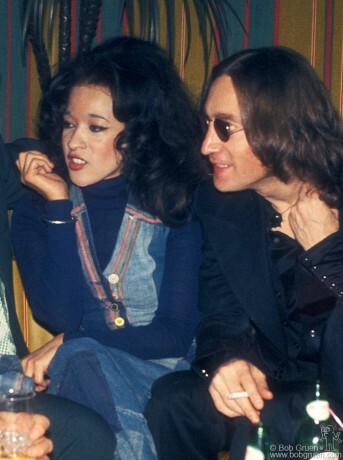 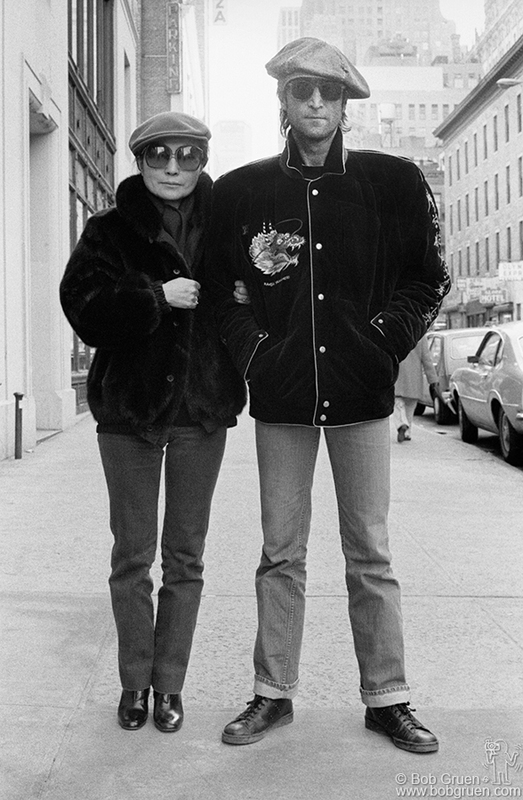 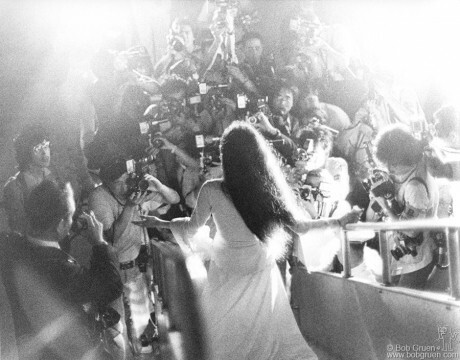 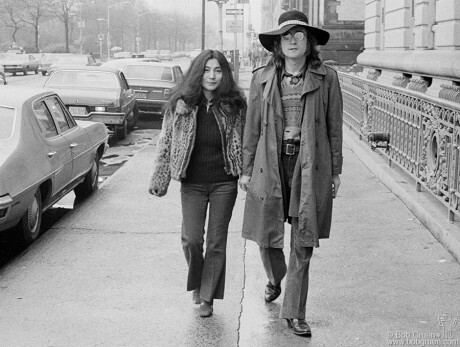 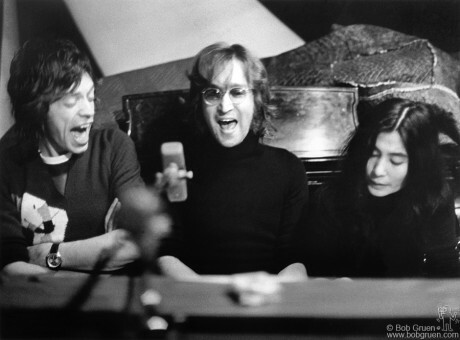 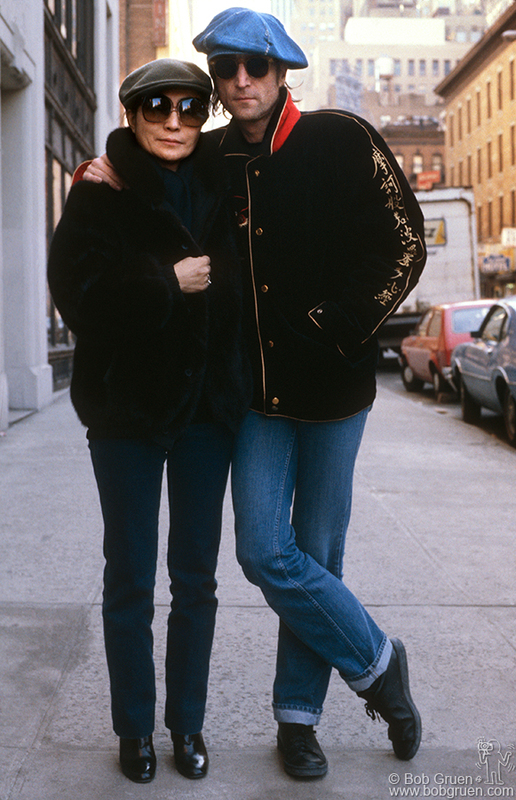 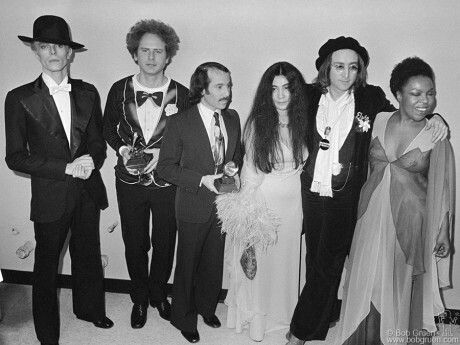 While visiting John & Yoko’s recording session at the Record Plant in NYC, Mick joined John & Yoko behind a piano to sing along on a song Yoko had just written and they seemed to all have a lot of fun together.